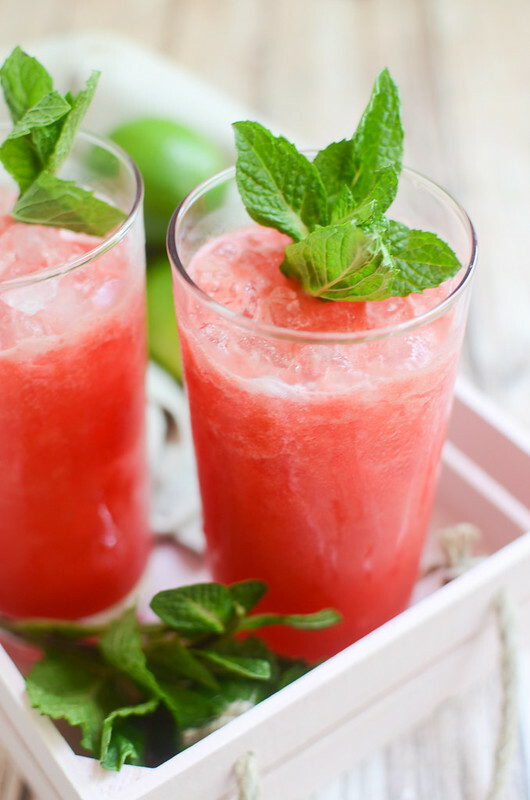 Watermelon Mint Margaritas are the most refreshing summer drink! 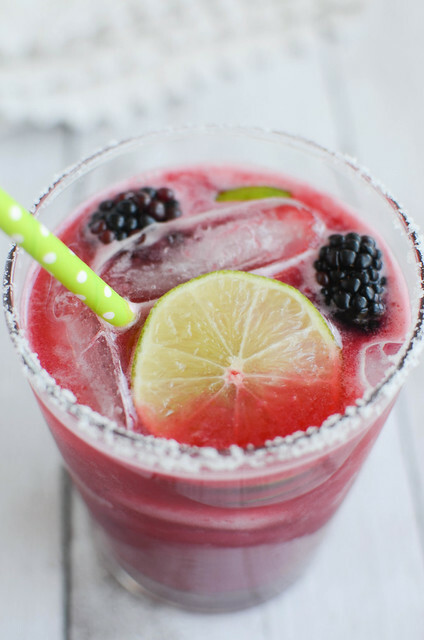 Perfect for poolside parties, Cinco de Mayo, or just a Friday night! I feel like I’ve been so behind on holidays this year. I didn’t post a single Mardi Gras recipe, I think I posted one for Easter, and I can’t name another holiday that’s passed to save my life. It’s safe to say that if there were more, I definitely missed them. But I will not miss Cinco de Mayo! 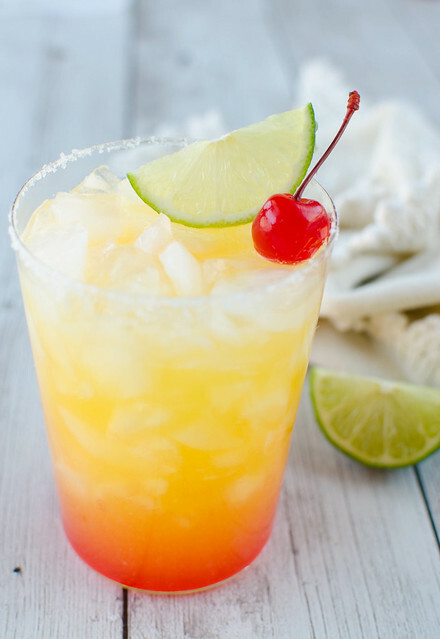 We’re starting a couple weeks early so I can squeeze in all the margaritas and melted cheese I can come up with. 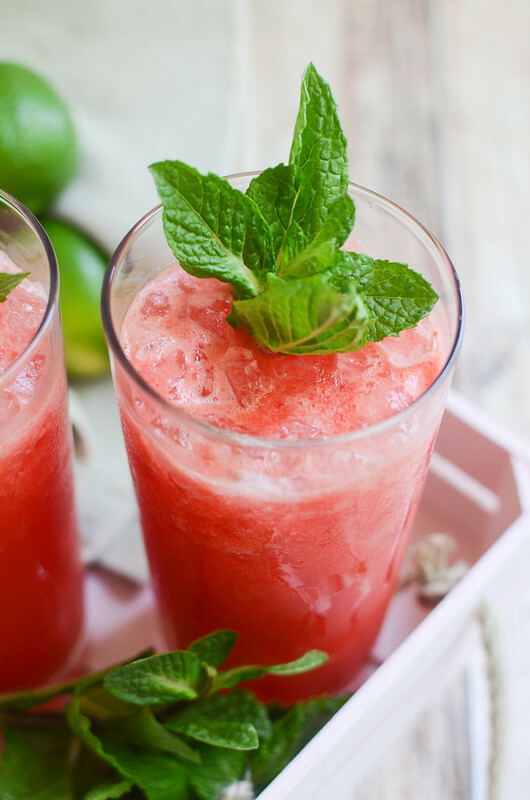 I’ve been obsessed with watermelon for the last couple summers and it looks like it will be continuing this year since I couldn’t wait to share these Watermelon Mint Margaritas with you! They’re really easy and yes, they start with fresh watermelon. No fake stuff here! 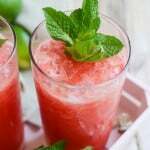 You just need the watermelon and then you make a quick mint simple syrup, stir in some tequila and lime juice, and you’re done! I bet they would be delicious next to a pool or on the beach or basically anywhere that it’s hot! 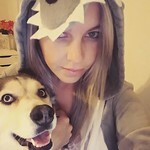 And look how pretty they are! Bring sugar and water to a boil in a small saucepan; stir until sugar is dissolved. Remove from heat, stir in mint leaves. Let steep for 10 minutes. Remove mint leaves. 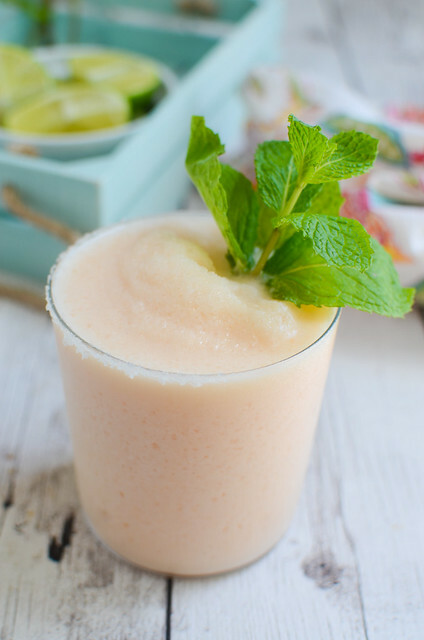 In a blender, combine watermelon, lime juice, tequila, and half of the mint syrup (use more if you like a sweeter drink). Blend until smooth. Divide into 2 glasses filled with ice. Garnish with mint leaves and lime wedges. One Response to "Watermelon Mint Margaritas"